Preheat oven to 350 degrees F. Lightly oil an 9x13 baking dish or coat with nonstick spray. Heat 2 tablespoons of butter in a large skillet and sauté onions and jalapeños for about 6-7 minutes. Remove onions and jalapeños and set aside. Melt the rest of the butter in the same skillet over medium heat. Whisk in flour until lightly browned, about 1 minute. Gradually whisk in milk, and cook, whisking constantly, until slightly thickened, about 3-4 minutes. Stir in onion and jalapeños, quinoa, green chilies, broccoli, chicken, 1 cup cheese and Greek yogurt; season with salt and pepper, to taste. 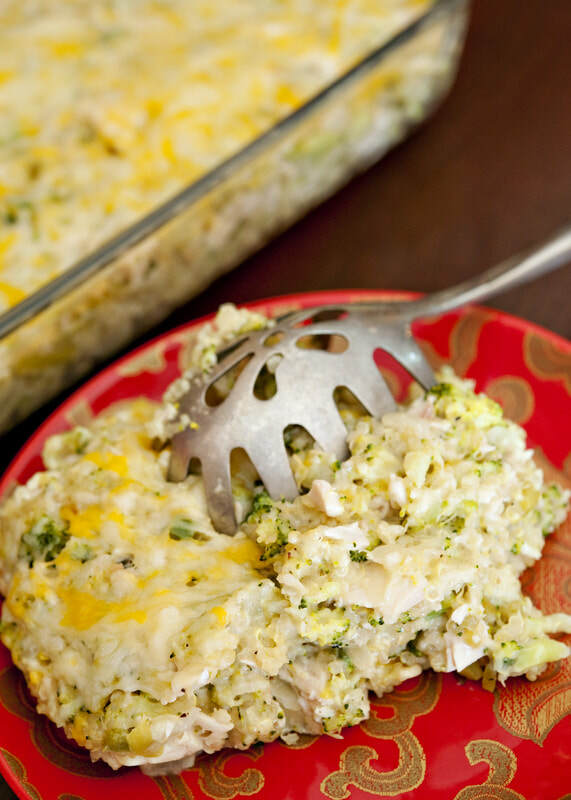 Spread broccoli mixture into the prepared baking dish; sprinkle with remaining 1/2 cup cheese. Place into oven and bake until cheese has melted, about 10 minutes.